Product prices and availability are accurate as of 2019-04-22 02:45:32 UTC and are subject to change. Any price and availability information displayed on http://www.amazon.com/ at the time of purchase will apply to the purchase of this product. 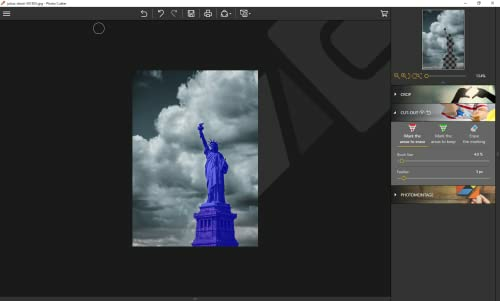 InPixio Photo Clip 8.0 – the digital cutting tool – allows you to cut out any details, people, objects or even scenery from your photos and remove distracting details. InPixio Photo Clip 8 – the digital cutting tool – allows you to cut out any details, people, objects or even scenery from your photos and remove distracting details. 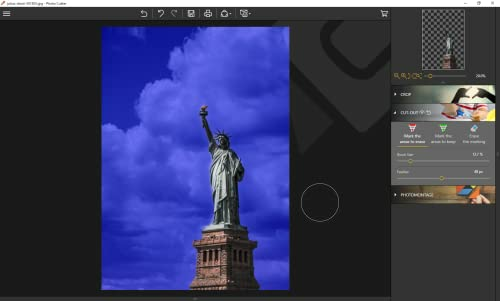 InPixio Photo Clip 8 simply erases the selected parts and/or restores the background. Correct any blemishes with the Clone Stamp tool. 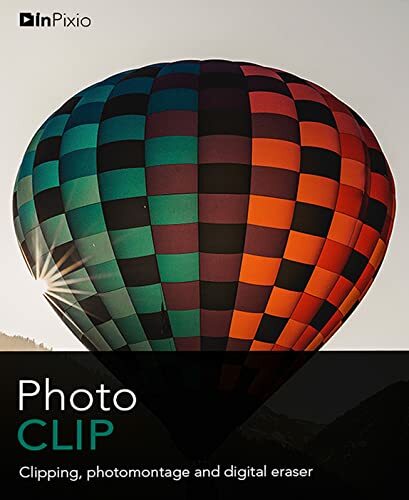 With InPixio Photo Clip 8, your digital scissors, cut out any detail, person, object or landscape element from your photos. Select the shape of the object or the background with the cursor and the Photo Clip algorithm runs automatically! What is new in V8? NEW! Detailed user guide Get step-by-step instructions and a summary of all the features. Photo touch-up tips are also available. NEW! Backgrounds for photo montages 25 new themed backgrounds available: fun, science fiction, sport, vacations, etc. NEW! Online print service From the interface, in just a few clicks you can deliver or have delivered: photos, cards and other personalized prints. Thousands of templates available. Printing and delivery guaranteed in 5 days worldwide. NEW! Facebook help community A direct link to the InPixio community for personalized advice and help – join over 2,000 members! NEW! New visual identity The new version has a more sophisticated interface while the graphics have been reworked to ensure an even more artistic presentation. NEW! Windows 10 dynamic interface An interface that automatically adapts to the user's choices. IMPROVED! Usability New image viewing area, icons, tools and loading bar.